Among them is the planned establishment of a Malaysia driving cycle (MDC) fuel economy standard. The programme has seen studies carried out, all geared towards the development of a standardised method consistent with the world wide harmonised light duty test cycle (WLTC) for fuel consumption. The institute said that when it is eventually in place, this will establish Malaysia’s own globally-recognised driving cycle, which will allow the measurement of fuel economy from a Malaysian context – the MDC would present a set of data specific to Malaysian roads, terrain and environmental conditions, and thus determine standards for energy efficient vehicles (EEVs) based on UN regulation 101. Mention was also made about the national emission test centre (NETC), which was officially opened in March this year. 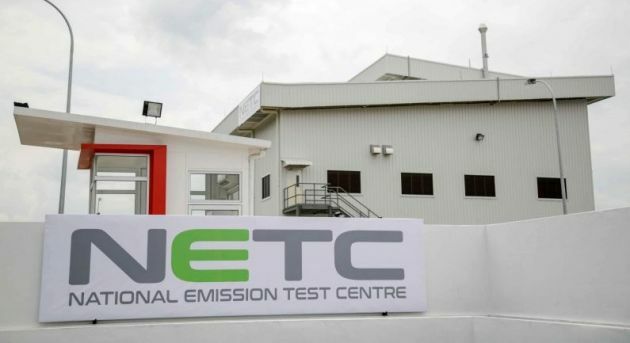 Located in Rawang, Selangor, the NETC is the first full-fledged vehicle emissions testing facility in Malaysia. The centre’s facilities include real-time measurement of exhaust emission gases for passenger cars in accordance with UN regulation 83 and 101. With emissions tests a requirement for vehicles to comply with vehicle type approval (VTA) and EEV certification, the NETC – which is operated by MAI – will allow for significant emissions test cost reduction and faster test cycle times, according to the institute. Collaborations with global agencies for carbon reduction were also highlighted, including that with Clean Air Asia, a non-profit organisation that has implemented the “Supporting Clean and Efficient Vehicle Policies in Asian Countries” programme, funded by UN Environment. 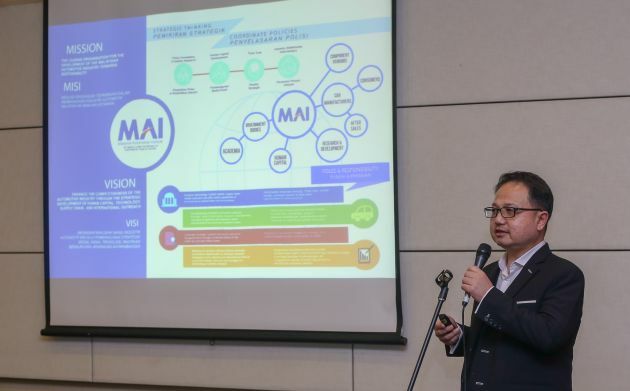 Among the activities the collaboration is working towards is the establishment of a fuel economy baseline based on actual data gathering and trends analysis specific to Malaysia. The institute is also working with the ministry of energy, science, technology, environment and climate change (MESTECC) in a number of areas, including providing input specific to EEVs and the development of a low carbon mobility blueprint based on these. Keep it up Datuk Madani ! We spend over Rm100 million per year on the gaji for MAI staff. But what do they do? And yet we are still using euro 2 fuel from the last century. Madani will soon get Tan Sri Ship because MAI does nothing. I hope they will also emphasis on NOx.. Other than Co2. Both are equally harmful for humans. And with facility as such let’s hope the govt will consider to charge road tax according to carbon footprint. The more you pollute, the more u pay. That’s just fair. Go fix the harmful fuel supply by gas station first. Compulsory min euro 5 on all RON Gasoline and Diesel please. MAI cannot even sort the AP problem. That is the biggest problem facing the automotive industry in Malaysia. Car companies cannot move forward when the AP kronies are making so much of money and depriving genuine car companies from making money. MAI every year has been promising to abolish AP. This MAI is finding difficult to do. This basic thing also MAI cannot do, they want to talk about fuel economy and driving cycle planned. Important things don’t know how to do . Perodua (cough, cough) paid RM50 Million for this NETC facility. MAI jangan perasan lah. Just follow euro WLTC exact, why another standard. It’s not like we’re big auto manufacturers like Germany or US or Japan. Kelakar betul MAI ini. Tak tahu apa kerjaany dalam bidang perusahaan kereta. If you want to really know what the Malaysian Driving Cycle (MDC) looks like. Start car, idle 2 mins for aircond to cool cabin. Engage “D”, full throttle until reach traffic light, max deceleration until idle. Repeat until next traffic light. Most people would like NEDC tests result to stop as it doesn’t really represent real world drive pattern and fuel economy. No high loads, too few cycles, etc..
Worldwide WLTP should be enough. thanks, but no thanks MAI! they are trying to justify their existence and for the survival..
First world western nation government is active enforcing and fine any efficient and emission cheaters. Will MAI NETC and vehicle makers be liable for lawsuit and fine if any cheating or data manipulation found? MDC is really wasting people’s money carries nothing at all, only good for journal not for standardization. Pls wake-up la Mr MAI, do you aware ker tak how NEDC & WLTP was derived, very comprehensive study lol. You are talking nonsense, insufficient to justify your function la…close down la save some money. Previous Post: Perodua to display concept car at KLIMS – new SUV?